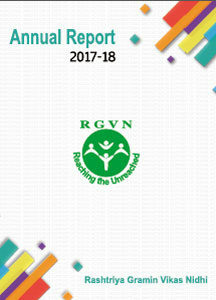 RGVN had been working on providing low cost drinking water, sanitary latrine and solar illumination for the poor people. Earthquake relief were provided to the people affected in Sikkim with support from SDTT. Relief were given to flood survivors of Odisha with support from JRDTT. RGVN partnered with Oxfam India towards Disaster Risk Reduction Programme in Assam. The 18 month project began January 1, 2012 in 20 villages of Nalbari and Kamrup Districts being located in the flood prone development blocks. Some 4,500 households are expected to be covered directly by the project with a population of about 20,000 people. Baseline Surveys done in 20 selected villages. Village Mapping/Micro Planning for 14 villages has been completed by using PRA . KAP (Knowledge Attitude and Practice) and Sanitary Survey done in selected villages. Raised hand pump and sanitary latrine has been constructed. Solar Lights distributed to 52 households in Narikuchi, Chatma Bathan and Hurmabori villages.